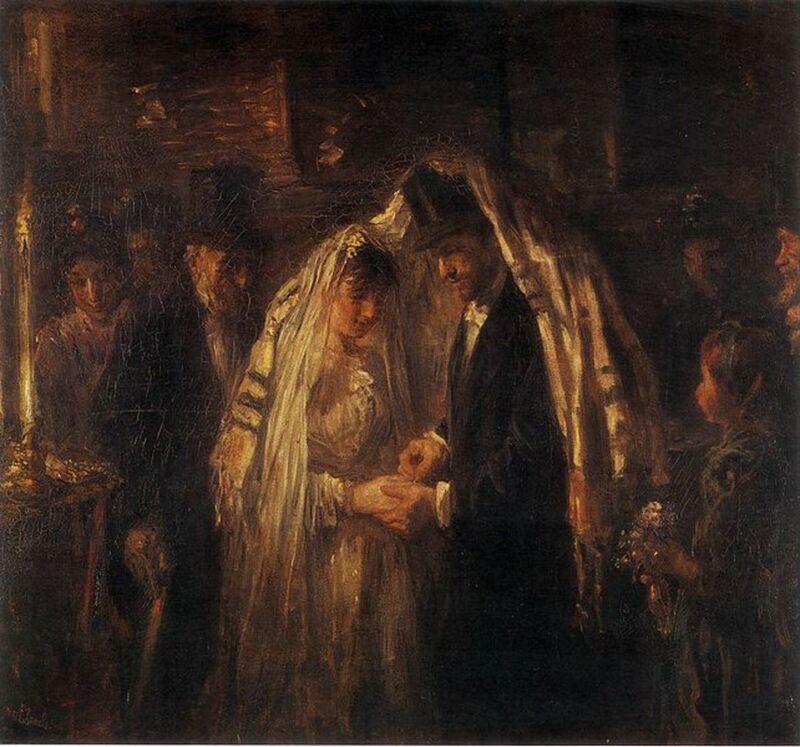 When I am painting a wedding I feel like I am documenting and preserving our culture as well as connecting to a larger genre of painting and a long history of paintings that celebrate marriage. 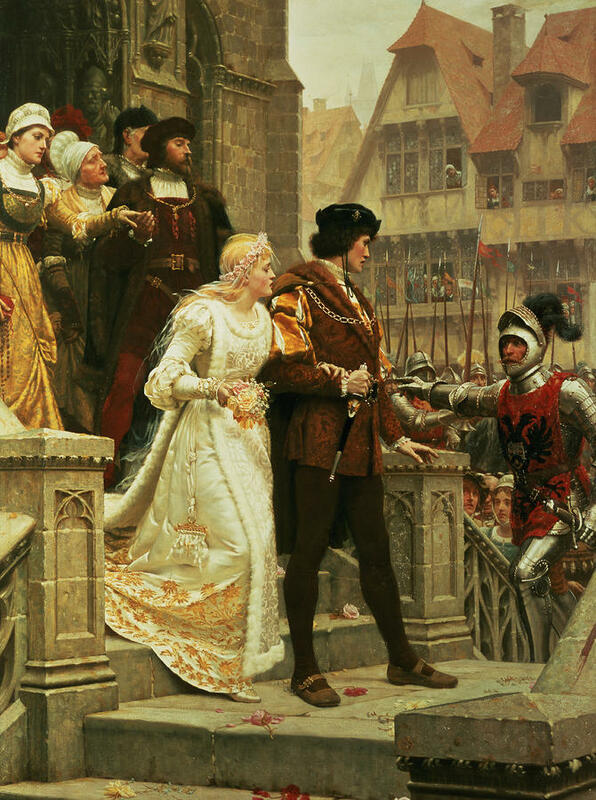 Weddings have been the subjects in many periods of painting as far back as Egyptian, gothic and medieval times. The artist becomes historian. The largest painting in the Louve is The Celebration of Cana, a wedding painting by Veronese. The (Peasant) Wedding Feast, 1567, by Flemish artist Pieter Bruegel the Elder has hung on my inspiration wall (postcard size) for a very long time. I wonder if this has influenced me? The first art book I owned was Bruegel. When I was a child “The Return of the Hunters” hung in my parent’s friend’s house that I frequented. These paintings tell a story with color palette, clothing, lighting, positioning of certain people and what they are doing. There is a warm, joyful quality that resonates with me. 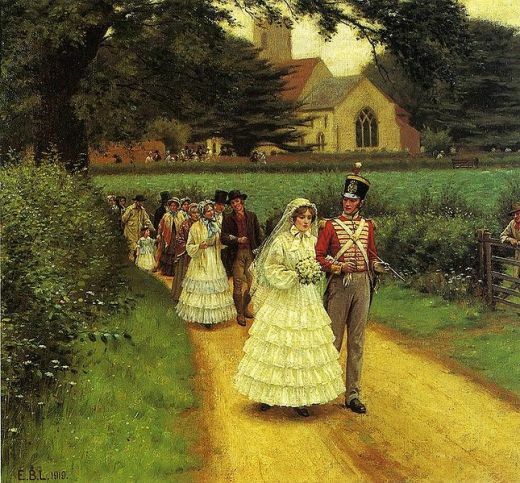 Here are a collection of wedding paintings that inspire me. The Peasant Wedding is a 1567 painting by the Flemish Renaissance painter and printmaker Pieter Bruegel the Elder, one of his many depicting peasant life. 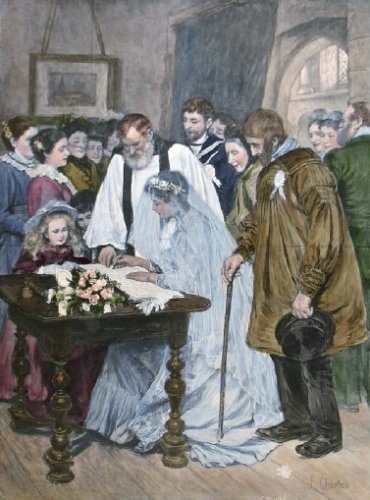 Signing The Marriage Register, painting by James Charles, exhibited at the Royal Academy, 1895. 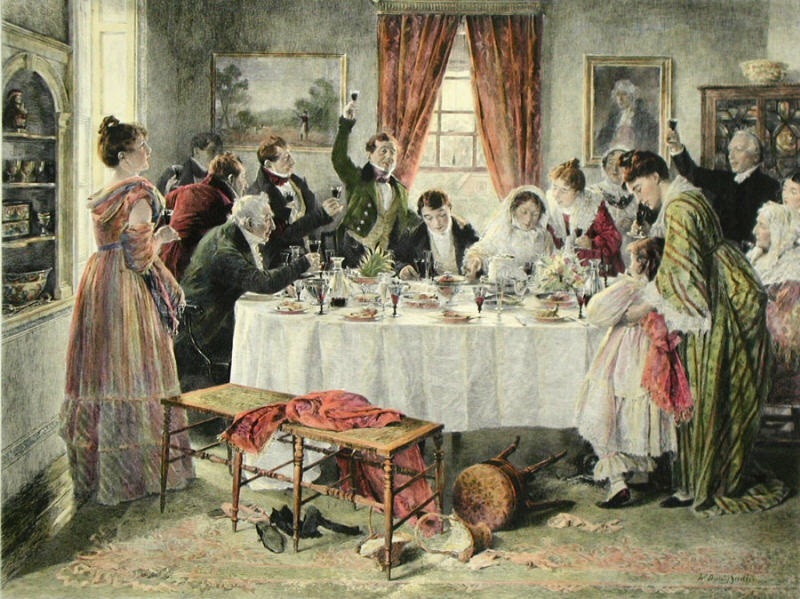 Health to the bride, Engraved by L J Muller after a picture by Walter Dendy Sadler. 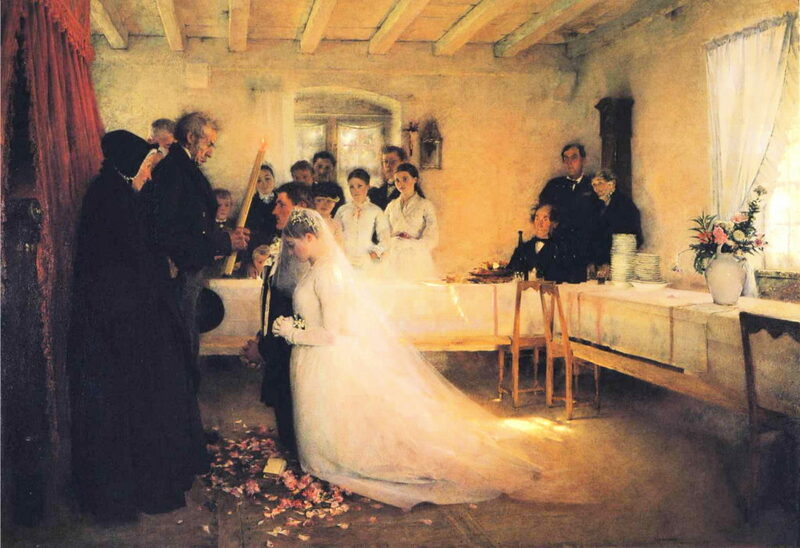 What would your wedding painting include? I’m always fascinated and inspired by the by the bride & groom’s creative wedding ideas. 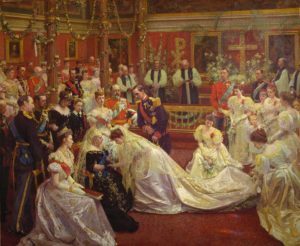 For more information about making history with me and commissioning a wedding painting view my event painting page. To check your date availability contact me via email or call 845-545-2419 .